2727 B.C. - First recorded use of cannabis as medicine in Chinese pharmacopoeia. In every part of the world humankind has used cannabis for a wide variety of health problems. 1500 B.C. - Cannabis cultivated in China for food and fiber. 1500 B.C. - Scythians cultivate cannabis and use it to weave fine hemp cloth. 1200-800 B.C. - Cannabis is mentioned in the Hindu sacred text Atharvaveda (Science of Charms) as "Sacred Grass", one of the five sacred plants of India. It is used by medicinally and ritually as an offering to Shiva. 700-300 B.C. - Scythian tribes leave cannabis seeds as offerings in royal tombs. 500 B.C. - Scythian couple die and are buried with two small tents covering censers. Attached to one tent stick was a decorated leather pouch containing wild Cannabis seeds. This closely matches the stories told by Herodotus. The gravesite, discovered in the late 1940s, was in Pazryk, northwest of the Tien Shan Mountains in modern-day Khazakstan. 500 B.C. 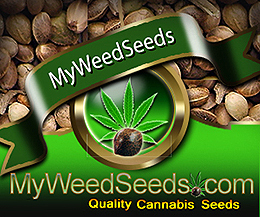 - Hemp is introduced into Northern Europe by the Scythians. An urn containing leaves and seeds of the Cannabis plant, unearthed near Berlin, is dated to about this time. 500-100 B.C. - Hemp spreads throughout northern Europe. 430 B.C. - Herodotus reports on both ritual and recreation use of Cannabis by the Scythians (Herodotus - The Histories 430 B.C. trans. G. Rawlinson). 0-100 A.D. - Construction of Samaritan gold and glass paste stash box for storing hashish, coriander, or salt, buried in Siberian tomb. see 2700 B.C. 70 A.D. - Dioscorides mentions the use of Cannabis as a Roman medicament. 170 A.D. - Galen (Roman) alludes to the psychoactivity of Cannabis seed confections. 500-600 A.D. - The Jewish Talmud mentions the euphoriant properties of Cannabis. 900-1000 A.D. - Scholars debate the pros and cons of eating hashish. Use spreads throughout Arabia. 1090-1256 A.D. - In Khorasan, Persia, Hasan ibn al-Sabbah, the Old Man of the Mountain, recruits followers to commit assassinations...legends develop around their supposed use of hashish. These legends are some of the earliest written tales of the discovery of the inebriating powers of cannabis and the supposed use of hashish. 1200's - Cannabis is introduced in Egypt during the reign of the Ayyubid dynasty on the occasion of the flooding of Egypt by mystic devotees coming from Syria. Early 1200's - Hashish smoking very popular throughout the Middle East. 1155-1221 - Persian legend of the Sufi master Sheik Haidar's of Khorasan's personal discovery of Cannabis and it's subsequent spread to Iraq, Bahrain, Egypt and Syria. Another of the ealiest written narratives of the use of Cannabis as an inebriant. 1300's - The oldest monograph on hashish, Zahr al-'arish fi tahrim al-hashish, was written. It has since been lost. 1300's - Ibn al-Baytar of Spain provides a description of psychoactive Cannabis. 1300's - Arab traders bring Cannabis to the Mozambique coast of Africa. 1271-1295 - Journeys of Marco Polo in which he gives second-hand reports of the story of Hasan ibn al-Sabbah and his "assassins" using hashish. First time reports of Cannabis have been brought to the attention of Europe. 1378 - Ottoman Emir Soudoun Scheikhouni issues one of the first edicts against the eating of hashish. 1526 - Babur Nama, first emperor and founder of Mughal Empire learned of hashish in Afghanistan. mid 1600's - The epic poem, Benk u Bode, by the poet Mohammed Ebn Soleiman Foruli of Baghdad, deals allegorically with a dialectical battle between wine and hashish. Hemp (Cannabis sativa) was first brought to North America by the Puritans. 1700's - Use of hashish, alcohol, and opium spreads among the population of occupied Constantinople. Late 1700's - Hashish becomes a major trade item between Central Asia and South Asia. The first president of the United States, cultivated Indian Hemp (Cannabis sativa indica, i.e. medical cannabis, which could also be used for fiber, although not as well as regular hemp) on his farm. 1840 - In America, medicinal preparations with a cannabis base are available. Hashish available in Persian pharmacies. 1843 - Le Club des Hachichins, or Hashish Eater's Club, established in Paris. 1850 - Hashish appears in Greece. 1856 - British tax ganja and charas trade in India. 1870-1880 - First reports of hashish smoking on Greek mainland. 1875 - Cultivation for hashish introduced to Greece. 1877 - Kerr reports on Indian ganja and charas trade. 1890 - Greek Department of Interior prohibits importation, cultivation and use of hashish. 1890 - Hashish made illegal in Turkey. 1893-1894 - The India Hemp Drugs Commission Report is issued. 1893-1894 - 70,000 to 80,000 kg of hashish legally imported into India from Central Asia each year. Early 1900's - Hashish smoking very popular throughout the Middle East. 1910 - Introduction to recreational use of cannabis. After the Mexican Revolution, a wave of Mexicans immigrated to the United States and introduced the American public to recreational cannabis use. 1915-1927 - Cannabis begins to be prohibited for nonmedical use in the U.S., especially in SW states...California (1915), Texas (1919), Louisiana (1924), and New York (1927). 1920 - Metaxus dictators in Greece crack down on hashish smoking. 1920's - Hashish smuggled into Egypt from Greece, Syria, Lebanon, Turkey, and Central Asia. 1926 - Lebanese hashish production peaks after World War I until prohibited in 1926. 1928 - Recreational use of Cannabis is banned in Britain. 1920's-1930's - High-quality hashish produced in Turkey near Greek border. 1930 - Yarkand region of Chinese Turkestan exports 91,471 kg of hashish legally into the Northwest Frontier and Punjab regions of India. 1930's - Legal taxed imports of hashish continue into India from Central Asia. 1934-1935 - Chinese government moves to end all Cannabis cultivation in Yarkand and charas traffic from Yarkand. Both licit and illicit hashish production become illegal in Chinese Turkestan. 1937 August 2 - Cannabis made federally illegal in the U.S. with the passage of the Marihuana Tax Act. This act made possession or transfer of cannabis illegal throughout the United States under federal law, excluding medical and industrial uses, in which an expensive excise tax was required. 1938 - Supply of hashish from Chinese Turkestan nearly ceases. 1940's - Greek hashish smoking tradition fades. 1941 - Indian government considers cultivation in Kashmir to fill void of hashish from Chinese Turkestan. 1941-1942 - Hand-rubbed charas from Nepal is choicest hashish in India during World War II. 1945 - Legal hashish consumption continues in India. 1945-1955 - Hashish use in Greece flourishes again. 1950's - Hashish still smuggled into India from Chinese Central Asia. Moroccan government tacitly allows kif cultivation in Rif Mountains. 1956-July 18 - Narcotics Control Act of 1956. The acts made a first time cannabis possession offense a minimum of two to ten years with a fine up to $20,000; however, in 1970, the United States Congress repealed mandatory penalties for cannabis offenses. 1961 - Single Convention on Narcotic Drugs. The principal objectives of the Convention are to limit the possession, use, trade in, distribution, import, export, manufacture and production of drugs exclusively to medical and scientific purposes and to address drug trafficking through international cooperation to deter and discourage drug traffickers. 1962 - First hashish made in Morocco. 1963 - Turkish police seize 2.5 tons of hashish. 1965 - First reports of C. afghanica use for hashish production in northern Afghanistan. 1965 - Mustafa comes to Ketama in Morocco to make hashish from local kif. 1966 - The Moroccan government attempts to purge kif growers from Rif Mountains. 1967 - "Smash", the first hashish oil appears. Red Lebanese reaches California. 1968 - Bureau of Narcotics and Dangerous Drugs formed (BNDD). The BNDD was a predecessor agency of the Drug Enforcement Administration (DEA). It was formed as a subsidiary of the United States Department of Justice, combining the Bureau of Narcotics (from the United States Department of the Treasury) and Bureau of Drug Abuse Control (from the United States Department of Health, Education, and Welfare's Food and Drug Administration) into one agency. By 1971 the BNDD was composed of 1,500 agents and had a budget of some $43 million (which was more than fourteen times the size of the budget of the former Bureau of Narcotics). Late 1960's-Early 1970's - The Brotherhood popularizes Afghani hashish. 1970-1973 - Huge fields of Cannabis cultivated for hashish production in Afghanistan. Last years that truly great afghani hashish is available. 1970- Oct 27 - The Comprehensive Drug Abuse Prevention and Control Act is passed. Part II of this is the Controlled Substance Act (CSA) which defines a scheduling system for drugs and places most of the known hallucinogens (LSD, psilocybin, psilocin, mescaline, peyote, cannabis) in Schedule I. Law enacted that regulates the prescribing and dispensing of psychoactive drugs, including stimulants, depressants, and hallucinogens. The act lists five categories of restricted drugs, organized by their medical acceptance, abuse potential, and ability to produce dependence. The law classified cannabis as having high potential for abuse, no medical use, and not safe to use under medical supervision. 1972 - The Nixon-appointed Shafer Commission urged use of cannabis be re-legalized, but their recommendation was ignored. Medical research continues. Early 1970's - Lebanese red and blonde hashish of very high-quality exported. The highest quality Turkish hashish from Gaziantep near Syria appears in western Europe. Early 1970's - Afghani hashish varieties introduced to North America for sinsemilla production. Westerners bring metal sieve cloths to Afghanistan. Law enforcement efforts against hashish begin in Afghanistan. 1973- Nepal bans the Cannabis shops and charas (hand-rolled hash) export. 1973 - Afghan government makes hashish production and sales illegal. Afghani harvest is pitifully small. Drug Enforcement Administration (DEA) is formed. The DEA is tasked with combating drug smuggling and use within the U.S. Not only is the DEA the lead agency for domestic enforcement of the drug policy of the United States (sharing concurrent jurisdiction with the Federal Bureau of Investigation), it also has sole responsibility for coordinating and pursuing U.S. drug investigations abroad. 1975 - FDA establishes Compassionate Use program for medical marijuana. 1976-1977 - Quality of Lebanese hashish reaches zenith. 1978 - Westerners make sieved hashish in Nepal from wild Cannabis. Late 1970's - Increasing manufacture of "modern" Afghani hashish. Cannabis varieties from Afghanistan imported into Kashmir for sieved hashish production. 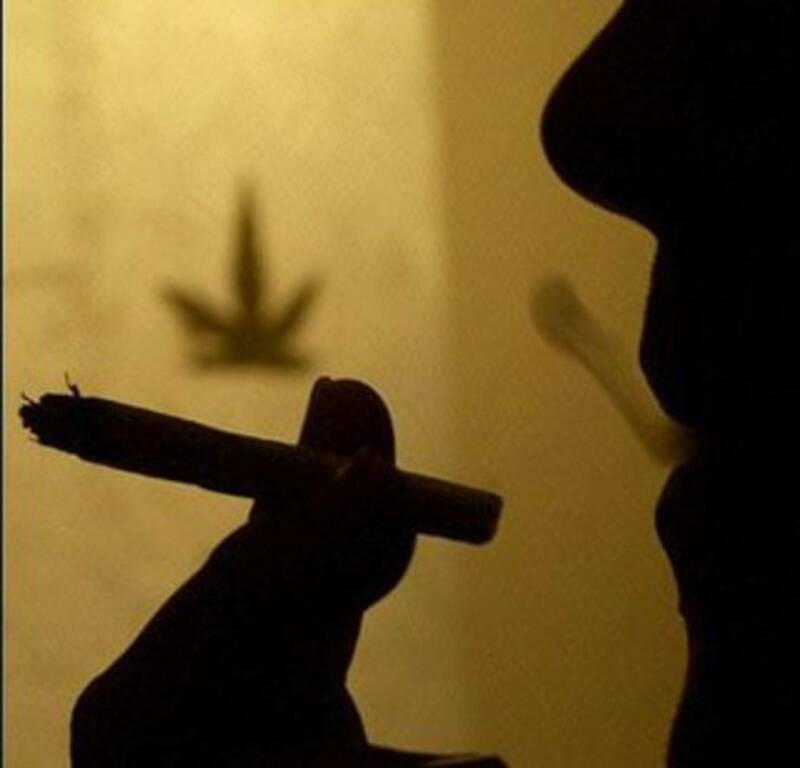 1980's - Morocco becomes one of, if not the largest, hashish producing and exporting nations. 1980's - "Border" hashish produced in northwestern Pakistan along the Afghan border to avoid Soviet-Afghan war. 1985 - Hashish still produced by Muslims of Kashgar and Yarkland (NW China). 1986 - Most private stashes of pre-war Afghani hashish in Amsterdam, Goa, and America are nearly finished. 1987 - Moroccan government cracks down upon Cannabis cultivation in lower elevations of Rif Mountains. 1988 - DEA administrative law Judge Francis Young finds after thorough hearings that marijuana has clearly established medical use and should be reclassified as a prescriptive drug. 1993 - Cannabis eradication efforts resume in Morocco. 1994 - Heavy fighting between rival Muslim clans continues to upset hashish trade in Afghanistan. 1994 - Border hashish still produced in Pakistan. 1995 - Introduction of hashish-making equipment and appearance of locally produced hashish in Amsterdam coffee shops. 1996 - November 5 - California Proposition 215, also known as the Compassionate Use Act of 1996, was passed. Act in california legalized the medicinal use of marijuana. 2001-May 14 - United States vs. Oakland Cannabis Buyers' Coop. United States Supreme Court ruled that federal anti-drug laws do not permit an exception for medical cannabis and rejected the common-law medical necessity defense to crimes enacted under the Controlled Substances Act because Congress concluded cannabis has "no currently accepted medical use" when the act was passed in 1970. United States Supreme Court ruled that the Commerce Clause of the United States Constitution allowed the federal government to ban the use of cannabis, including medical use. The court found the federal law valid, although the cannabis in question had been grown and consumed within a single state, and had never entered interstate commerce. Congress may ban the use of cannabis even where states approve its use for medicinal purposes.